The nutrients you ingest while breastfeeding will make their way to your baby as she nurses. The first food your baby eats is called colostrum, and is rich in vitamin E, say Victor R. Preedy and Ronald Ross Watson, authors of "The Encyclopedia of Vitamin E." As your baby grows older, she will need to continue receiving a healthy dose of vitamin E through your breast milk. 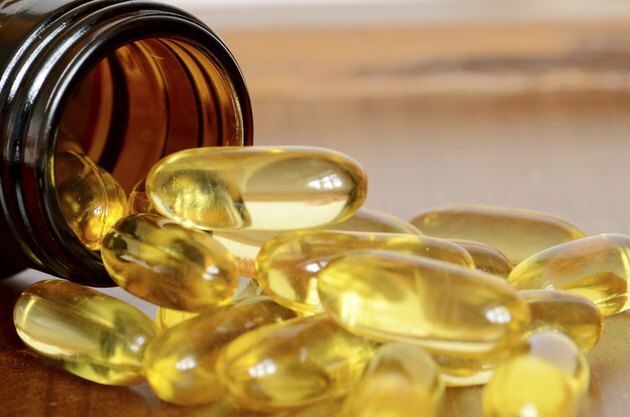 Vitamin E offers your baby several benefits, and taking additional supplements may be necessary to promote the health and well-being of your little one. Vitamin E is an important nutrient that can help prevent your baby from developing anemia after he is born, says Jan Riordan, author of "Breastfeeding and Human Lactation." 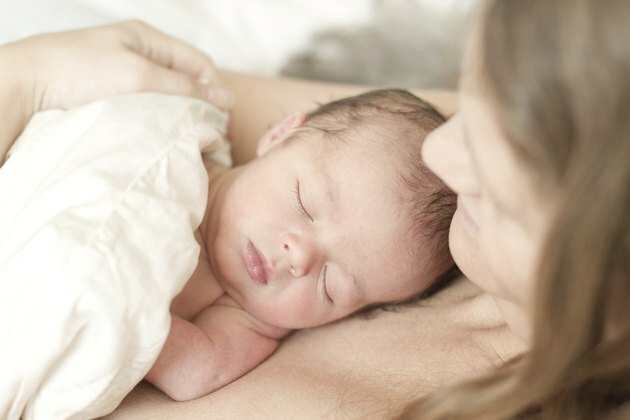 Anemia is a decrease in red blood cells that carry oxygen throughout your baby's body. The development of anemia can cause extreme fatigue as well as stress your baby's internal organs, Kids Health reports. If your body is low in vitamin E, it will be more difficult for your baby to get the amount that he needs to help prevent anemia. In some cases, taking additional vitamin E may boost your levels enough that your baby gets what he needs. Vitamin E is considered an antioxidant, Riordan says, and sufficient levels can help protect your baby from retina and lung-related injury. According to Mary Treinen Moslen and Charles V. Smith, authors of "Free Radical Mechanisms of Tissue Injury," a low level of vitamin E can restrict how much oxygen reaches the retinas and the lungs, which can lead to injury if the problem is not diagnosed and treated. If you are breastfeeding and have very low levels of vitamin E, your baby may not be getting enough of what she needs to ensure that her retinas and lungs receive an adequate amount. Taking a supplement can help you increase your levels so you nursing baby gets what she needs. Your doctor may also recommend adding vitamin E-rich foods, such as nuts and nut oils, to your diet. According to Eileen Behan, author of "Eat Well, Lose Weight While Breastfeeding," vitamin E helps protect your baby's muscles, cardiovascular system and nerves. Vitamin E is necessary for proper metabolism, and if your baby is deficient, he experience weakness or degeneration of his growing muscles. You may need to supplement the vitamin E you get from food if your baby is having difficulty growing or seems to be weak or tired on a regular basis. Increasing how much vitamin E you take can help promote healthy development of your baby's muscles.